Even though your employer offers RNs company provided liability insurance, it is worth asking yourself if that is sufficient or if a supplemental insurance policy is in order. When weighing the options, consider several important points before you decide whether your employer’s coverage is sufficient for you. Does your employer have coverage? Is it professional liability coverage? Does it cover you? What are the policy limits per incident? How many other claims has your employer dealt with? (Policies sometimes have a limit on the total amount paid out or the total number of claims covered.) Are there exceptions to coverage, i.e., does the insurer not cover some types of claims? Who is the insurer – is your employer self-insured? How do you file a claim? What type of work do you do? Some areas of nursing have higher risk than others, either for suits or complaints or both. Do you work part-time? Do you moonlight at another job? Are you self-employed or do you do volunteer work? Is your practice in a less-traditional care setting such as a clinic, occupational health field work, teaching, administration or other area? Do you get pressure to take on work you feel unqualified to do? Non-traditional healthcare employers may not even have professional liability coverage. General liability coverage won’t help you most of the time. What happens if you leave the job and you get a subsequent claim or complaint? Does the policy give you “occurrence” or “claims made” coverage? (Occurrence coverage means if you were insured at the time of the event, you are covered even if you are no longer insured. “Claims made” policies only cover you if you are insured at the time the claim is filed.) What if your former employer gets a claim, settles it and then sues you for repayment made on your behalf? What if your employer chooses to settle a claim and you disagree? Or, what if you are faced with fines and legal fees not covered by your employer’s policy? 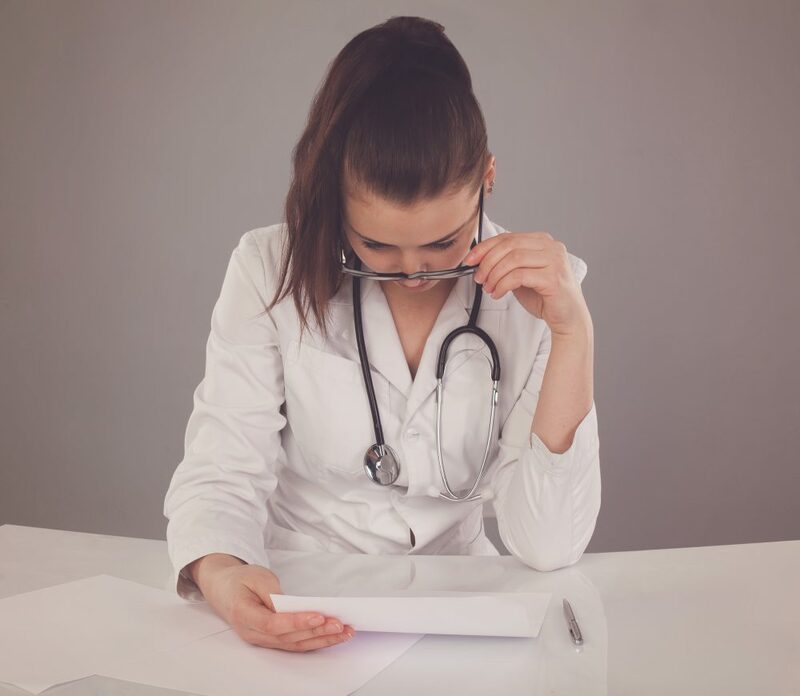 Will your employer’s coverage help you with a Board of Nursing complaint? If the complaint stems from a work-related incident, the employer may be more interested in protecting his/her/its interests than yours. If you have personal professional liability coverage, either in addition to your employer’s coverage or because you would otherwise have insufficient or no coverage, these issues are less problematic. In the event of a claim or a complaint, remember that your professional license and reputation are at stake. Your employer’s coverage and good will only goes so far even with the best employee. Some authorities argue against personal coverage saying that a plaintiff’s attorney will be more likely to sue you if you do have insurance. I have worked with plaintiff firms. They have no way of knowing whether you have insurance before they file suit. If a plaintiff’s attorney believes you are at fault, he/she will name you as a defendant. If the verdict is against you, regardless of whether it is negligence, some other civil complaint or a criminal charge, you are responsible for the judgment, fine and legal costs. If you have no insurance, your personal assets are up for grabs, including marital assets (home, cars, savings). Not having insurance is no guarantee you won’t be sued or face a complaint. Also, remember that you may face other state or federal agency complaints such as HIPAA violations. You worked hard to get your education and your license. Do not go before the Board of Nursing or some other government agency without an attorney to represent you. Most professional liability policies provide payment for an attorney up to a specified amount should you have to go before a board. This benefit alone is worth the annual premium which, for many RNs, runs less than $150. Use your favorite search engine or Google “nurse liability insurance.” There are many companies out there. Get multiple quotes. Compare coverages and look at whether the policy is an occurrence or “claims made” type, the maximum amount paid per claim and what other benefits the insurer offers including legal fees paid. Just as with other insurances, you may never need it. But no matter how good a practitioner you are, remember there are hundreds of factors you can’t control, many you may not even know about. Having your own personal policy means you choose who protects you and how much. That can be invaluable. Read Part One: Should you have professional liability coverage?